Sometimes you may want to exclude posts of certain tag from your WordPress blog’s homepage. Suppose you write paid reviews about some services or freewares available on internet and you don’t like those reviews to appear on your blog’s homepage. You can add a tag to review posts and then exclude the posts of that tag from homepage of your blog. 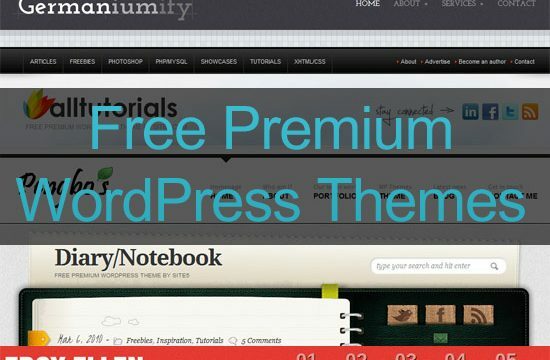 This article will explain you two ways to hide posts of a certain tag from main page of WordPress blog. Video sharing sites like YouTube provide embed code for videos in iFrame format now. It was really easy to embed YouTube videos using old code method. Just copy and paste the embed code and the video is ready to use in posts. But it is not possible to directly insert iFrame code for videos in WordPress visual editor. Few days back Google released its new social networking site Google+. Most of us who got the invitation to Google+ are already experiencing it. Some of us like it but others dislike it. 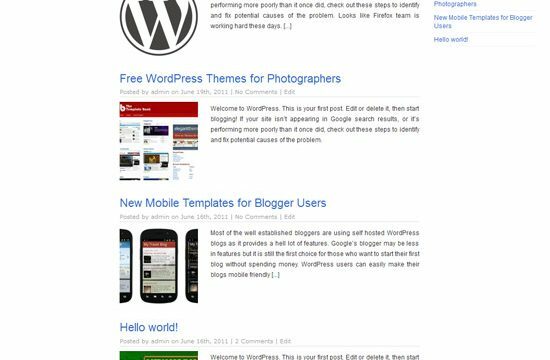 From the WordPress developer point of view one thing that I like the most about this theme is its simple and clean layout. 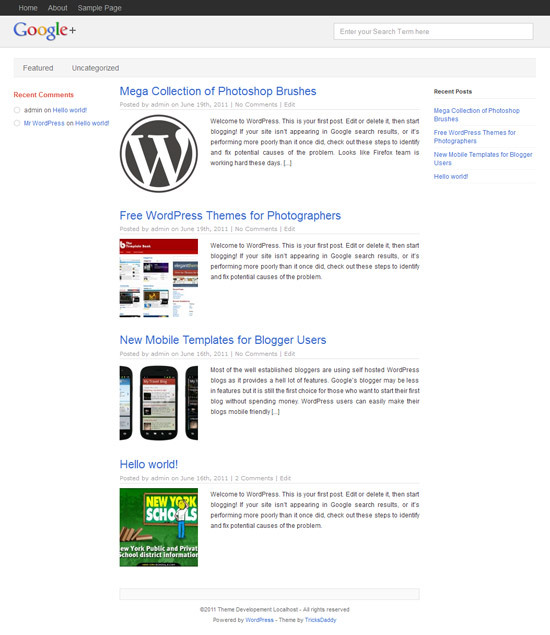 So today I am going to release a free WordPress theme WP Plus based on the layout of Google+. Few days back I informed you about the Classic American Road trip theme for Windows 7. Now Microsoft has made available yet another Ducati theme for Windows 7 on the Windows personalization gallery. If you are a blogger then you might be aware of the importance of taking WordPress database backup regularly. Not only database backup, you must also take backup of other files like images and videos of your blog once in a while. This is very essential for every blogger as you may get hacked someday or lose your data for some other reasons. A new version of the WordPress v3.1 “Reinhardt” has been released and it is available for download. You can either download it or update it from your dashboard. 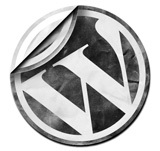 There are many new features in WordPress 3.1.